In 2009-2010, some colleagues and I did a small research for the DiputaciÃ³ de Barcelona (Barcelona County Council) on new ways of political participation enabled by ICTs. The following year, my colleague Albert PadrÃ³-Solanet and I adapted some of that research and turned into a set of training sessions for city council officers in the field of communication, participation and environment, the latter being a field in which collaboration between institutions and organizations at the city level is crucial. PeÃ±a-LÃ³pez, I. & PadrÃ³-Solanet, A. (2017). â€œEnvironmental education in a world of networksâ€. In DiputaciÃ³ de Barcelona, Environmental education. Where have we come from? Where are we going?, Chapter 11, 544-559. ColÂ·lecciÃ³ Estudis. SÃ¨rie Medi Ambient, 4. Barcelona: DiputaciÃ³ de Barcelona. PeÃ±a-LÃ³pez, I. & PadrÃ³-Solanet, A. (2017). â€œEducaciÃ³n ambiental en un mundo de redesâ€. En DiputaciÃ³ de Barcelona, EducaciÃ³n ambiental. Â¿De dÃ³nde venimos? Â¿Hacia dÃ³nde vamos?, CapÃ­tol 11, 397-414. ColÂ·lecciÃ³ Estudis. SÃ¨rie Medi Ambient, 4. Barcelona: DiputaciÃ³ de Barcelona. PeÃ±a-LÃ³pez, I. & PadrÃ³-Solanet, A. (2017). â€œEducaciÃ³n ambiental en un mundo de redesâ€. 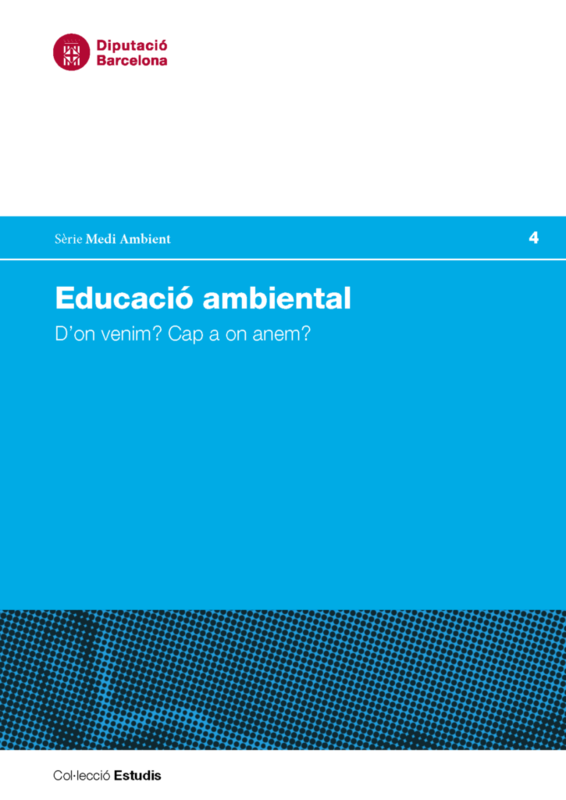 A DiputaciÃ³ de Barcelona, EducaciÃ³ ambiental. D’on venim? Cap a on anem?, CapÃ­tol 11, 231-257. ColÂ·lecciÃ³ Estudis. SÃ¨rie Medi Ambient, 4. Barcelona: DiputaciÃ³ de Barcelona. Peña-López, I. (2017) “Book chapter. Environmental education in a world of networks” In ICTlogy, #163, April 2017. Barcelona: ICTlogy.